Colorado Springs Garmin Trail Maps is a set of trail data I collected while hiking the local trails over many years. 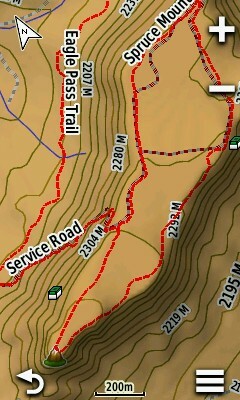 The information I recoded has been cleaned up and modified to allow loading on a Garmin GPS unit. 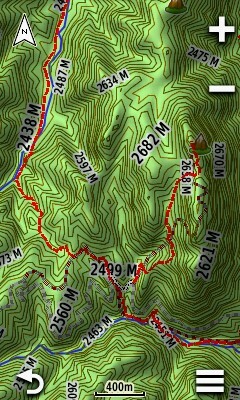 You can load these maps on any Garmin GPS unit that supports custom IMG files. Two popular units that support this feature are Garmin Oregon and Montana but there are many others. The map itself contains only the trail tracks and it's best to overlay it on top of another base map to see additional features such as roads, topographic information with contours, bodies of water etc. With routable map you can do turn-by-turn navigation, calculate correct distance to your destination and find the best route if multiple trails are available just like in a car GPS navigation. It should only be combined with a non-routable base map. 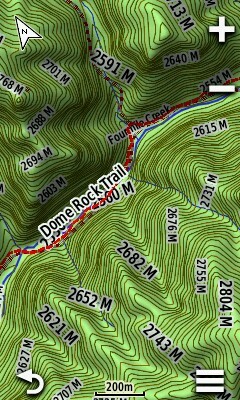 Non routable map displays the trail track as a red line on top of any maps you have installed / enabled. You cannot navigate or create routes but the trails are easily visible and will work with any map on your GPS unit. 1) Connect your GPS unit to the computer and mount it as a disk drive. 3) Unmount the unit from your computer. 4) Enable the map in the menu. 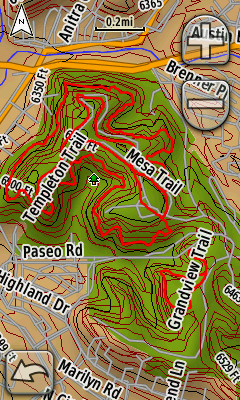 If you are displaying this trail map on top of another base map please keep in mind that for the routing to work only ONE routable map can be enabled. 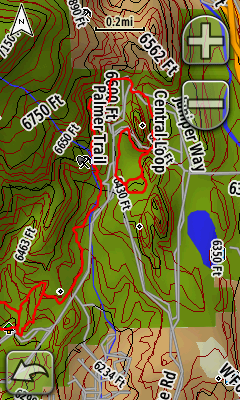 For example if you enable both Colorado Springs Trails Routable map and Garmin City Navigator map at the same time the routing might not work. In this case use a non-routable map as your basemap. I offer my maps for free. If you find them useful and feel that they provide a good value please consider making a $5 (or any other amount you find reasonable) donation to help me cover the cost of web hosting and software. Thank you. 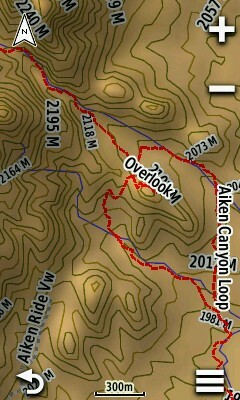 Disclaimer: Trail tracks were recorded using a regular consumer grade GPS and the accuracy will vary. Please use these maps for reference only. I am not be responsible for any damages or liabilities due to installation and/or usage of these maps. Please use common sense when hiking. Comments: Any comments, questions or suggestions?